Logan Molen has been publisher of Steamboat Pilot & Today since June 2018. Before that, he was publisher and CEO of RG Media Company in Eugene, Oregon. 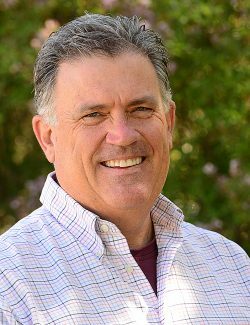 He has more than 30 years of experience in journalism and digital media and has worked in a variety of reporting, editing, design and management roles at The Fresno Bee, Tulare Advance-Register, TBC Media/The Bakersfield Californian and RG Media/The (Eugene) Register-Guard. He was born in Pueblo but grew up in Fresno, California. He has a journalism degree from Fresno State University and an MBA from Pepperdine University. He and his wife, Sandi, have two adult daughters who live in Oregon. His hobbies include hiking, travel and discovering the great outdoors; listening to and reading about music; and watching a wide variety of motorsports.